A Fiduciary refers to a person or organization that is held to a higher standard of conduct and trust. An investment advisor, who is held to a "fiduciary standard," looks after the assets of another person on that persons' behalf, is fully transparent, and is required to disclose any potential conflicts of interest. The term has been more used in the media in recent years, as certain regulations become effective in the financial industry. 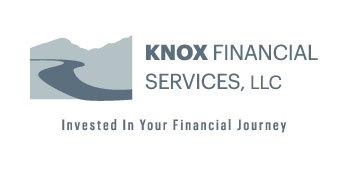 Jason Knox has been a "deemed fiduciary" for a majority of his career, and formalized his commitment to fiduciary standards by attaining the Accredited Investment Fiduciary® credential in 2014. The Accredited Investment Fiduciary® Designation certifies that the recipient has specialized knowledge of fiduciary standards of care and their application to the investment management process. To receive the AIF® Designation, the individual must meet prerequisite criteria based on a combination of education, relevant industry experience, and/or ongoing professional development, complete a training program, successfully pass a comprehensive, closed‐book final examination under the supervision of a proctor and agree to abide by the Code of Ethics and Conduct Standards. In order to maintain the AIF® Designation, the individual must annually attest to the Code of Ethics and Conduct Standards, and accrue and report a minimum of six hours of continuing education. The Designation is administered by the Center for Fiduciary Studies, the standards‐setting body of fi360.